You’ve likely noticed how many videos are published on Facebook each day. So many, that getting yours noticed is more challenging than ever. It’s hard even for an established publisher. For newbies … it’s like heading down a blind alley. Fortunately, you can cut through the noise by utilizing Facebook Live, an in-the-moment feature that allows you to stream live video content in front of your audience. Facebook revealed that users spend 3x more time on average watching live videos compared to normal videos. Most broadcasts come from regular folks even if big brands attract the most audiences. You can use Facebook Live to deliver exclusive content, how-to videos, behind-the-scenes footage and much more. Instead of throwing a bunch of advices at you and leaving you to figure out what works and what doesn’t, I’ve decided to cover tried and tested best practices. You can implement them separately, or simultaneously based on your needs. Here are 5 Facebook Live tips to attract audiences with your next broadcast. Take a good look at your background before doing a live video. While viewers will expect you to go with the flow and be a bit raw in the broadcast, you don’t want background noise and unexpected entrants (pets, individuals who’re not a part of your footage, etc.). Make sure the audience will be able to hear and see you without distractions. Here’s an example of a Facebook Live broadcast by Darren Rowse of ProBlogger. Notice how he selected a plain background with no hanging objects, and there’s minimum audio distortion. If you have not done a live broadcast before, consider rehearsing. 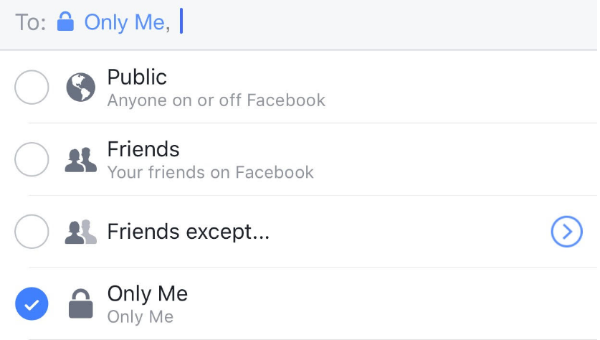 And change the privacy setting from “public” to “only me” before going live. You’ll see the production as it will appear, but it won’t be visible to anyone else. To start the live video, launch the Facebook app on your smartphone and go to the group, business, event, or personal page you want to use. Then, look for the icon “Go Live” at the middle or bottom right of the screen. Tap this icon and enter a catchy description for your video. Then record the video, rehearsing how you plan to introduce yourself, what you plan to cover, and how you’re going to interact with the audience. And don’t forget to use friendly gestures throughout. Change the setting back to public once you’re done rehearsing. Pick A Theme: Choose some kind of theme for your live video. You can do a Q/A session, review an item, do a tutorial, take people behind-the-scenes, etc. Also, make notes of the things you want to showcase, call-to-actions you need to make and links you might share. Make It Visually Engaging: Visual improvisations are key to making people stick around. That means using visual cues and not just standing / sitting idle – something done really well in Liz Melville’s video. You can use anything from facial expressions to objects to visually engage your viewers. Ensure Your Internet Connection Is Strong: You want to have a WiFi / 4G connection with the strongest signal. Connections that get flakey at times might force you to drop mid broadcast. Ideally, you should be near a WiFi unit when using Facebook Live. Broadcast Long Enough: Facebook recommends a 10-minute duration for Facebook Live, though it offers a feature called “continuous live video” for publishers who want to broadcast up till 24 hours. Therefore, broadcast for at least 10-20 minutes. These measures will boast your chances of increasing viewership on Facebook Live. When you’re using Facebook Live don’t forget to be social. Remind viewers that you welcome their questions. When replying to comments or answering questions, mention the viewer’s name so they know that you are seeing the comments feed. This is an example of a Facebook Live broadcast done by Elegant Themes. The answers indicate that the host paid attention to the questions at hand. Also, by tagging viewers, he made the audience know that he was actively watching the feed. Additionally, you can hand pick the best questions and highlight them in a separate social media post, and see how people react to different comments, to learn what type of answers work best. Also, encourage comments, questions and other feedback after the broadcast comes to an end to engage replay viewers. That’s what Terry White did in this Facebook Live video. He showcased his expertise on working with type in Adobe InDesign CC. The audience were quick to notice his depth of knowledge, and appreciated him for teaching them about typography. Get the URL for your live video by right-clicking on the video and selecting “show video URL” from the tab that appears. You can then copy and directly paste this URL into your WordPress editor. Available at CodeCanyon, this plugin automatically identifies if your Facebook page has a live video and embeds it. 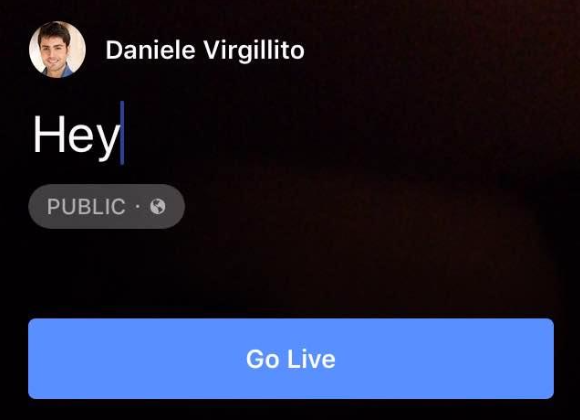 Additionally, you can configure it to display a site wide top notification bar when you do a Facebook Live session. However, all that convenience and functionality comes at a price. You have to shell out $29 to use this plugin. You can use Facebook’s social plugin for embedded videos to configure the primary settings of your live video and generate an embedded code according to your requirements. Right-click on the live video and choose “show video URL” and wait for the URL to display. Next, paste the URL in the Video Player configurator to generate the code. Consider your first few attempts at Facebook Live as trial and error. As you try new things and get creative, you will gradually discover what works best. In the meantime, implement the tips mentioned above to set the right cadence for a more attractive broadcast. “Remind viewers that you welcome their questions” this line is most powerful line in this article. because whenever we mention someone in our comment users notice about his importance. 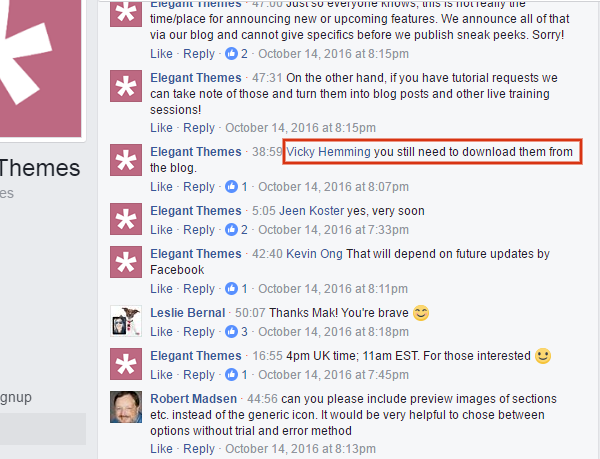 well i’m looking for more this type of tips hope you post asap blog with new idea. WoW !!!! What tools did Terry White use to create this video? … excellent production !! It would be great if you can share your findings once you implement some of these tips. super helpful. thanks for sharing!